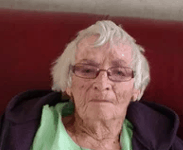 Hudson – Maria Nascimento Sousa, 87, passed away peacefully, surrounded by loved ones, Aug. 22, 2018, at home in Hudson. Maria Nascimento was born Dec. 25, 1930 in Santa Maria, Acores, Portugal to the late Antonio Costa and Maria Jose Maura Costa. She leaves behind her sister, Maria Carvalho, brother Antonio Costa, brother Joao Costa, brother Manuel Costa, sister Maria Gloria Braga, sister Emilia Braga, and sister Maria Rosa Collins. She was predeceased by her brother, Jose Costa. 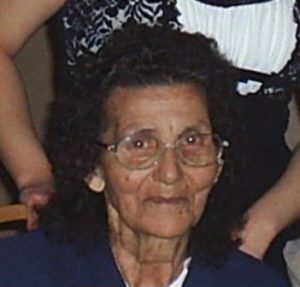 Maria Nascimento was predeceased by her loving husband of 60 years, Jose Braga Sousa. She leaves behind her 12 children, Antonio Sousa and his wife Joy Sousa of Leominster, Maria Lurdes Tebo and her husband John Tebo of Westborough, Jose Sousa and his partner Denise Paul of Hudson, Isabel Chaves and her husband Horacio Chaves of Hudson, Joao Sousa and his partner Janet Ruby of Ellerbe, North Carolina, Manuel Sousa and his wife Natalie Sousa of Hudson, Norberto Sousa and his wife Julie Nicolazzo of Hudson, Paulina Sousa and her partner Danny Billetter of Altoona, Pa., Luis Sousa and his wife Christine Sousa of Hudson, Rosa Sousa and her husband Paul Sousa of Hudson, Jorge Sousa and his wife Jennifer Sousa of Leominster, and David Sousa of Hudson. Maria Nascimento also leaves behind 25 grandchildren, eight great-grandchildren, brother-in-laws, sister-in-laws, and many nieces and nephews. Maria Nascimento valued her time with her family and enjoyed being surrounded by the people that she loved. She loved to travel to Santa Maria to visit with family and friends. In her spare time, she enjoyed crocheting and baking. Maria Nascimento loved to spend time with the little ones in her life from giving hugs and kisses to playing patty cakes to sharing Hershey Kisses to sneaking them money when the ice-cream truck drove by. Family and friends are invited to attend calling hours that will be held Sunday, Aug. 26, from 3-6 p.m., at Tighe Hamilton Regional Funeral Home, 50 Central St., Hudson. A Mass of Christian Burial will be celebrated Monday, Aug. 27, at 9 a.m., at Saint Michael Parish, 21 Manning St., Hudson. Burial will follow at St. Michael’s Cemetery in Hudson.